You’ve probably noticed the proliferation of kale in restaurants dishes, at potlucks and even in the chip aisle (think kale chips). There’s good reason. Just one cup of chopped kale contains 33 calories; gives you well over the recommended daily allowance of Vitamins A, C, and K; is high in manganese; and provides a great source of fiber. Kale comes in several varieties, but the most common edible varieties that you’ll find in your grocery store are curly kale, with very curled edges on broader leaves, and Tuscan kale, with longer, narrower and darker leaves. When choosing curly kale, select smaller heads—they’ll be more tender. With both types of kale, just as you would with lettuce, make sure the leaves are still firm. Until you use it, put it in a plastic bag and store it in the refrigerator. 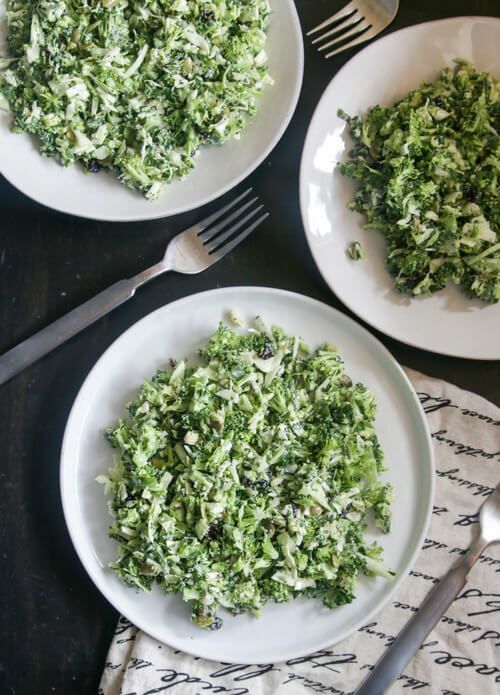 The ways to prepare this superfood are endless—strip the leaves from the main leaf ribs and chop it to use it in a salad like this superfood salad with poppy seed dressing. You could also add it to a soup, sauté it, make a smoothie with it, or leave it in slightly bigger pieces and make your own homemade kale chips. Regardless of how you prepare it, you're almost guaranteed a nutritious, tasty result. Combine all the vegetables together.